This is an informative 5 post series on instagram from @physicaltherapyresearch. If you're viewing on desktop, make sure to click the little arrow on the side to see all the pics/videos for the entire post before moving on! 📚🔬 SERIES(2/5): Early Rehabilitation Elite Athlete Rotator Cuff Injury Management ℹ️ Early rehabilitation should focus on the reduction of: Pain. Inflammation. Swelling. Restoring normal ROM. ℹ️ This can be accomplished using both local physical modalities in addition to manual therapies. ℹ️ The athlete should also avoid activities which reproduce symptoms. . 🙌🏼🙌🏼 Manual therapies such as joint mobilization and passive ROM can help restore normal joint kinematics and improve shoulder ROM 🙌🏼 Grade I and grade II glenohumeral joint mobilization techniques can be performed to reduce pain, decrease muscle guarding and improve ROM. 💪🏼 Also, Codman’s pendulum exercise is safe and can reduce stiffness and improve ROM. 💪🏼 ROM exercises can be progressed to active-assisted, followed by active-unassisted exercises. . 💪🏼 Internal rotation limitations in overhead athletes, are commonly related to chronic tightness of the posterior rotator cuff and shoulder musculature caused by poor position of the scapula, or the posterior joint capsule. 🤙🏼 [A] The modified sleeper stretch can effectively increase shoulder internal rotation. . 🤙🏼 [B] the modified cross-body stretch can effectively increase horizontal adduction 🤙🏼 Stretching the pectoralis minor may also help improve scapular mechanics and overall shoulder function. . 🏊🏼‍♂️ Aquatic therapy early in the rehabilitation process can help restore active ROM, normal shoulder kinematics, and prepare the shoulder for progression to land-based activities. . ⚡️ Neuromuscular electrical stimulation can assist with neuromuscular re-education and reducing muscle inhibition. ⚡️ Isometric exercises are also a safe and effective way early in the rehabilitation process to promote muscle activation. ↗️↗️↗️ Don’t miss anything! Turn on Post Notifications ✅✅ Next Up: 3. Intermediate Phase 4. Advanced/Late Stage Rehabilitation 5. Future Directions and Conclusions 📚📚📚 SOURCE: Weiss et al. 2018. Management of Rotator Cuff Injuries in the Elite Athlete. Cur Rev Musc Med. 📚🔬 SERIES(4/5): Advanced/Late Stage Rehabilitation Elite Athlete Rotator Cuff Injury Management ℹ️ Advanced strength & endurance training, dynamic stabilization, and sport-specific activities should be considered. ℹ️ Including sport- and position-specific drills. ℹ️ Careful collaboration between medical, rehab, and strength & conditioning staff is required to progress the athlete back into full weight training activities. 💪🏼 Strength training should address: Upper body pulling exercises. Upper body pressing exercises. Core stability exercises. 💪🏼 [A] Upper extremity plyometric exercises can be introduced and can improve proprioception, kinesthesia, and muscular endurance for the rotator cuff. . 💪🏼 Plyometric exercises involve three distinct phases: 1. Eccentric pre-stretch 2. Amortization phase 3. Concentric contraction. . 💪🏼 The amortization phase, defined as the time between the eccentric and concentric phases, should be as short as possible to allow for adequate energy transfer. . 💪🏼 Upper extremity plyometric exercises usually include throws, which are progressed from two-handed to one-handed drills, and performed in a variety of conditions (tall knee, half kneel, unstable surface). . 💪🏼 [B] Rhythmic stabilization exercises can be progressed to more complex exercises to include unstable surfaces and performance on a physioball to improve overall neuromuscular control. . 💪🏼 For the overhead thrower, a throwing program can be initiated and should include a graded training, carefully monitoring quantity of throws, distance, intensity, and types of throws. ↗️↗️↗️ Don’t miss anything! Turn on Post Notifications ✅✅ Next Up: 5. Future Directions and Conclusions 📚📚📚 SOURCE: Weiss et al. 2018. 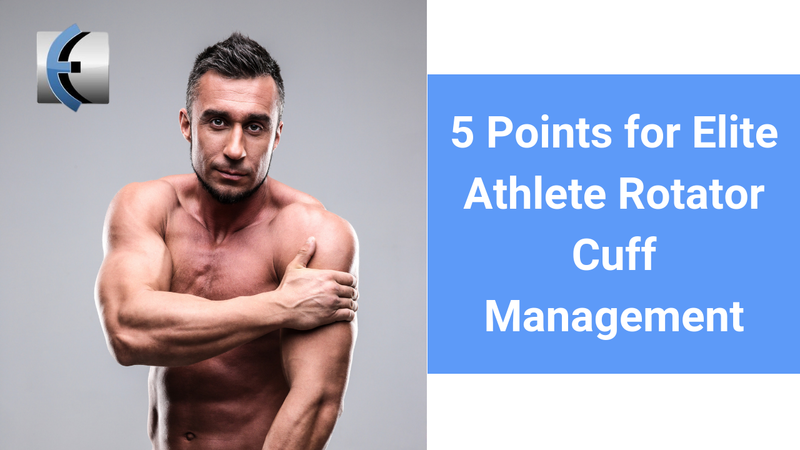 Management of Rotator Cuff Injuries in the Elite Athlete. Cur Rev Musc Med.